The German disaster at Stalingrad in the winter of 1943 brought home to the Nazi leadership that they were now on the defensive, and would have to take steps to increase their military potential. In typical Nazi fashion, this could not proceed under rational lines of economic mobilization. The regular army had failed due to lack of commitment to National Socialist ideals. Heinrich Himmler, head of the SS, saw an opportunity to expand his fiefdom and seized it with both hands. The Waffen SS, the armed branch of his criminal empire, now gained the ability to draft soldiers. And among these changes, his henchman Artur Axmann obtained a directive to form an SS division from underage Hitler Youth. Adolf Hitler saw indoctrinating the young as the key to a Nazi future. Obedience and fanaticism would be drilled into them from an early age in the Hitler Youth, while Germany’s women would be specially targeted by propaganda to assure that this continued at home. Membership in the Hitler Youth became compulsory, and boys as young as 9 received pre-military training and marched in formation. Hitler Youth dug in on Hill 112. By the time they reached their teen years, Hitler Youth could join special flying, motorized or naval formations to receive specialized training leading to military roles as pilots, tank commanders or sailors. In February 1943, thousands of 17-year-old Hitler Youth volunteers reported to form the 12th SS “Hitler Youth” Panzer Grenadier Division. Experienced men from the 1st SS Panzer Division were transferred to form a cadre, along with 50 regular army officers with Hitler Youth experience. In October 1943, the division was upgraded to panzer division status. Though the directive specified that the boys had to be 17, there was widespread cheating on this requirement and many of its grenadiers were 16 and some even 15. Despite the deep penetration of Nazi ideology in some of these children, Army recruiters filed complaints that SS officers were using compulsion to force boys to sign up as volunteers. Boys would be held in locked rooms without contact with their parents, and denied food, water and toilet facilities until they signed. Others, the Army claimed, had been physically beaten into submission. In place of the traditional tobacco ration, the Hitler Youth soldiers received candy. And in place of the beer ration, they got milk. 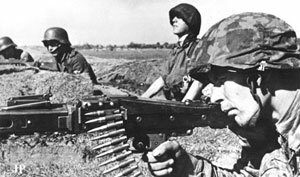 Otherwise, they trained to fight like any other SS men, and like the other SS panzer formations they received preferential allotments of weapons and equipment. The division was still recruiting in April 1944 when it moved from its training areas in Belgium to France as part of the operational reserve. It was a formidable force, with one infantry regiment in trucks and another in half-tracks, and a tank regiment of two battalions, one of PzKw V Panthers and one with new-model PzKw IVH tanks. Like other SS divisions it had a large array of support units: full battalions of rocket launchers, reconnaissance troops, self-propelled anti-tank guns, motorized anti-aircraft guns and half-track-mounted engineers. There were two battalions of motorcyclists, and four of artillery. The division rushed to the front when the Allied landings began in Normandy, and fought fanatically against the British and Canadians around Caen. On July 4th, 200 men and boys of Maj. Bernhard Krause’s I Battalion/26th SS Panzer Grenadier Regiment fought off the entire Canadian 8th Brigade, reinforced by two tank battalions, to hold Carpiquet airfield. Though not as dramatic, the Hitler Youth fought with similar determination to hold Hill 112 to the east of Caen, the battles covered by the out-of-print Beyond Normandy. They did not surrender even when wounded, though sometimes they faked it to take a few unwary Tommies with them in death. The children had learned their lessons well, and fought with a skill to match their fanaticism. By the time the division withdrew from Normandy in August, fewer than 600 combat soldiers remained. 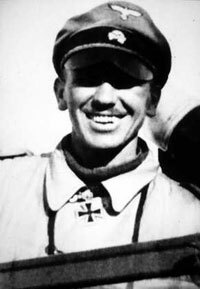 The division’s first commander, Fritz Witt, had led a regiment in the 1st SS Panzer Division in Russia and was killed on 16 June during an Allied naval bombardment. 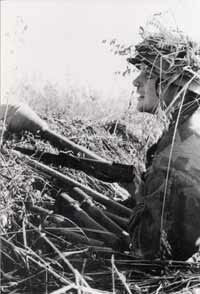 The 25th SS Panzer Grenadier Regiment’s commander, Kurt “Panzer” Meyer, took over at age 33 as the youngest divisional commander in the German armed forces. Meyer had led the 1st SS Panzer Division’s recon battalion on the Russian front, and would be sentenced to death (commuted to life imprisonment) after the war for the murders of 18 Canadian prisoners of war. 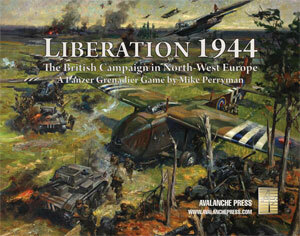 In Liberation 1944, the SS infantry (GREN, or grenadiers) have the highest firepower ratings yet bestowed in the series. Their morale is generally extremely high. As a display of battlefield courage, few units have ever equaled the Hitler Youth Division’s stand in Normandy. Rats, coyotes and feral pigs also fight with great determination when cornered.